Are you a great lover of music. Do you always keep your earphones plugged listening to Linkin Park, Enrique or Shakira. Then you will definitely enjoy this cool free music downloading app called LinkTunes. LinkTunes allows you to download free music from iTunes using your iOS 8.4 version. Though it works for other iOS versions too like iOS 8.1.1, iOS 8.1.2, iOS 8.1.3, iOS 8.2 and iOS 8.3. And here I am sharing with you a quick guide on how to use LinkTunes iOS 8.4 to download free music from iTunes. Just follow these simple steps and LinkTunes will be downloaded to your iPhone, iPad or iPod and then you can use it to download free songs from iTunes. Read - Cydia app store to download apps for free. 2. Secondly you need to install AppSync unified from Cydia to iOS 8.4. Without AppSync the cracked apps downloaded from Cydia doesn't work on iOS devices. So just download and install AppSync and then you will be able to run LinkTunes after downloading it from Cydia. 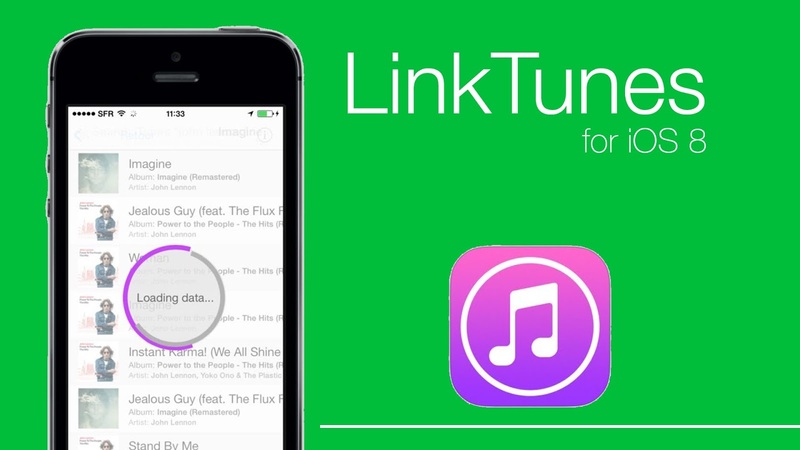 After downloading Cydia and AppSync you are now ready to download LinkTunes. For downloading LinkTunes we are going to add HackYouriPhone repo, it is one of the best Cydia sources for iOS 8.4. If you have this repo already added to Cydia just skip these steps. Step 1 - Tap on Cydia icon on home screen to open it. Step 2 - Tap on "Manage" option at the bottom. Then on "Sources" -> "Edit" and "Add". Refer to - How to add Ultrasn0W repo to Cydia. Step 3 - Now it will ask you to enter Cydia/APT URL. Enter the URL - http://repo.hackyouriphone.org and tap on "Add Source". Now on "Add Anyway". Open Cydia. Go to "Manage"-> "Sources" and look for HackYouriPhone repo. Tap on it. In the Search Box, search for "LinkTunes iOS 8.4". If you are using any other version of iOS then type that version. It will show the LinkTunes app in the results. Just tap on the app and install it on your iOS device. 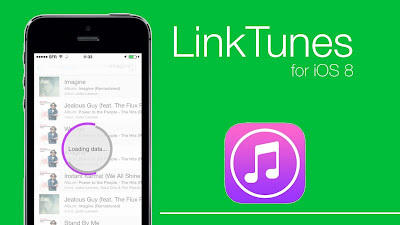 Now you have successfully downloaded LinkTunes on your iOS 8.4 device. LinkTunes is compatible for iPhone 5, iPhone 5s, iPhone 5c, iPhone 6, iPhone 6 Plus, iPad Air or iPod Touch. So if you are running iOS 8 or higher and have any of the above versions of iPhone/iPad you can enjoy free music from iTunes store by downloading LinkTunes. So that was it guys. Use LinkTunes iOS 8.4 to download free music from iTunes, In case you face any trouble please do comment we will try our best to help you. Till then, enjoy free songs! Open LinkTunes search for your favorite song, choose among the results and press the download button.